Ideami has been teaching filmmaking for years. Masterclasses and workshops can include all themes related to the preproduction, production and postproduction of films and videos. You may propose any other theme for a workshop. Contact us on ideami@ideami.com and explain us your needs. A great script is where it all begins. It is the base of the best filmmaking works. Learn to create compelling and attractive stories with this workshop. Every Startup company needs a great video to explain and showcase a product or service. In this workshop we review some of the best startup videos out there and then explain the best strategies to tackle each of the stages involved in creating a great Corporate Video. Your Camera guides the audience through a 3D environment. Learn the best filmmaking techniques to guide your audience. 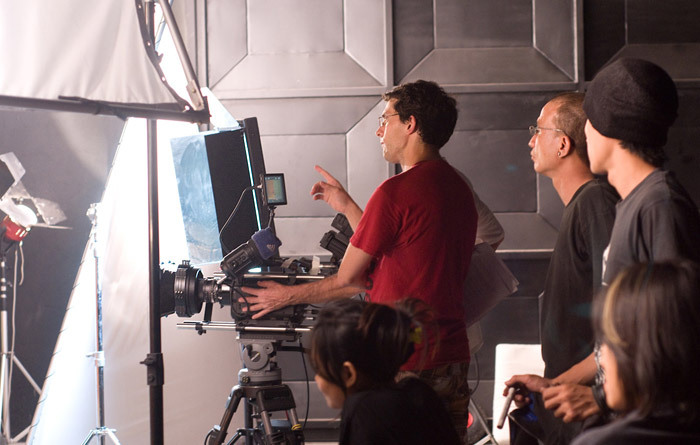 Communication between a director and the actors is key to the success of a filmmaking production. Learn tips and tricks to effectively manage and get the best from your acting ensemble. Learn advanced strategies involving masking and tracking to take your colorist skills to the next level. Learn to use After effects to create stylish motion graphics that raise the production quality of your film. In this Workshop we learn the ins and outs of working with a green screen. Learn advanced techniques and tricks in after effects to create movie scenes that take your production to the next level. Learn tips and tricks to process, clean and treat the audio you capture during the production of your films.